iFixit is putting Apple’s recently unveiled devices through its signature teardown process. The site is taking apart the iPhone 7, iPhone 7 Plus, and Apple Watch 2 to show some of internal changes Apple hasn’t talked about. 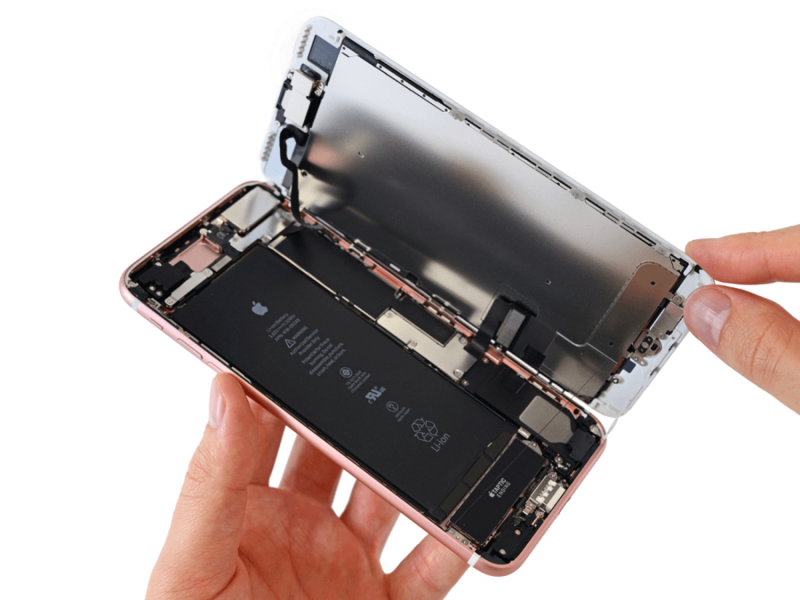 In its iPhone 7 Plus teardown, the iFixit team noted that the smartphone now opens to its side rather than to the top. There’s also a sealing strip around the perimeter that’s “considerably stronger” than the one found in its predecessor – something that’s likely related to its waterproofing abilities. The most interesting aspect of the teardown relates to Apple’s removal of the 3.5mm headphone jack. Apple said that one of the main reasons it was abandoning the long-used connection was to make space for other technology and better features. The company appears to have made good on this promise; losing the jack means a bigger battery, a much bigger Taptic Engine, and (likely) better water resistance. The battery, meanwhile, has increased to 2900 mAh, a jump up from the 2750 mAh battery powering the iPhone 6s. This backs up Apple’s claim that the newer device lasts an hour longer. With the Apple Watch Series 2, it seems that Apple has again gone with a larger battery. The teardown reveals a 273 mAh battery in the 38mm model - a 33 percent increase over the 205 mAh battery found in the original 38 mm Apple Watch. But this doesn’t indicate that the new watch will last longer than its predecessor; the added GPS feature and a brighter display means operating life is around the same length. Much like the iPhone 7 Plus, the Apple Watch 2 also features a larger Taptic Engine, as well as a much stronger adhesive sealant to improve its water resistance. A bigger metal shield has also been added next to the digital crown to improve waterproofing. The IFixit team hasn’t started the teardown of the smaller iPhone 7, but this will be arriving soon. And it's yet to give out repairability scores, as the teardowns are ongoing. Make sure to check them all out yourself at the iFixit site.